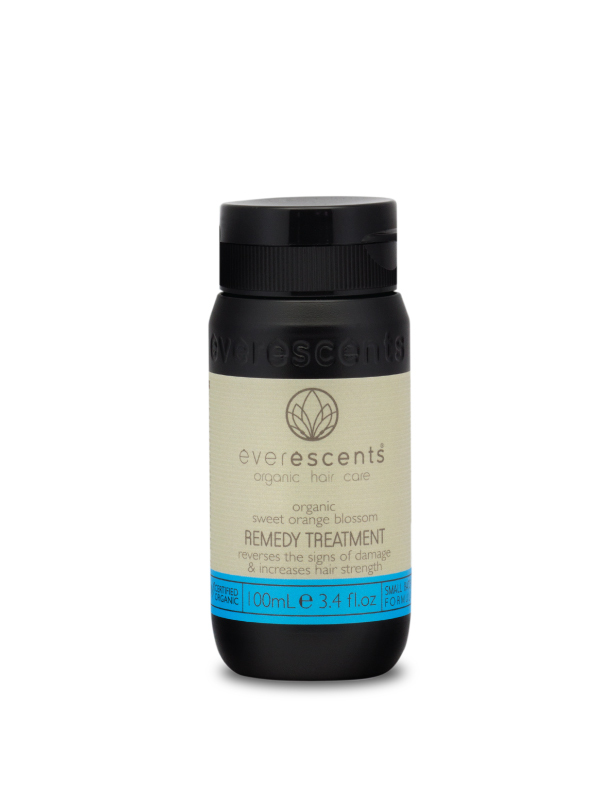 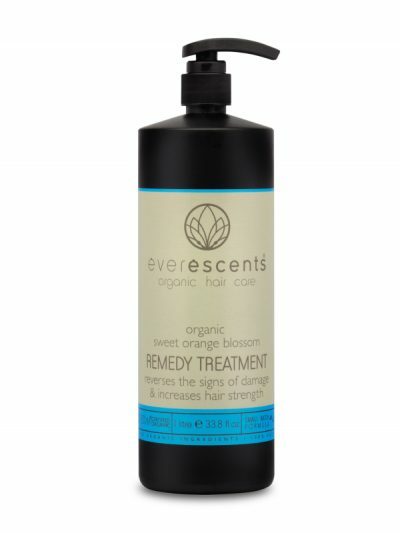 Designed to be used in place of a regular conditioner, this organic remedy treatment is the next generation of hair protein reconstruction technology designed to reverse the signs of damage and return the hair to its former glory without the use of synthetic masking agents. 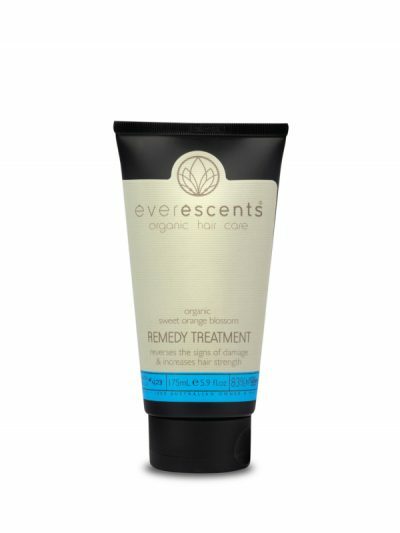 This treatment has the perfect balance of moisture and protein to gently repair the hair structure and infuse essential conditioning agents to leave the hair smooth, soft and shiny. Formulated with effective proteins from Sweet Almond and Rice to increase hair strength and keratin levels, whilst also improving colour brightness and reducing fade. Aqua (Purified Water)**, Sorbitol** (moisturiser), Vegetable Glycerin** (moisturiser), Behentrimonium Methosulfate** (mild detangling agent derived from canola), Cetyl Alcohol** (plant derived emulsifier), Butylene Glycol** (naturally derived humectant), Cetearyl Alcohol** (plant derived thickener from sustainable sources), Caprylic/Capric Triglyceride** (naturally derived emollient from coconut oil and glycerine), Hydrolyzed Sweet Almond Protein** (repairs damaged hair), Hydrolyzed Rice Protein** (strengthens weak hair), Rosmarinus Officinalis (Rosemary) Leaf Extract*, Sage Officinalis (Sage) Leaf Extract*, Tilia Cordata (Linden) Flower Extract*, Glycol Distearate** (natural emollient derived from canola), Urtica Dioica (Nettle) Extract*, Betula Alba (Birch) Extract*, Lexfeel® Natural** (EcoCert approved natural castor oil emolient), Equisetum Arvense (Horsetail) Leaf Extract*, Achillea Millefolium (Yarrow) Extract*, Citric Acid** (natural preservative), Cananga Odorata (Ylang Ylang) Flower Oil*, Citrus Aurantium Dulcis (Sweet Orange) Oil*, Citrus Paradisi (Pink Grapefruit) Peel Oil*, Sodium Levulinate & Sodium Anisate** (natural preservative derived from non-GMO corn and fennel), Glyceryl Caprylate** (Co-emulsifier, naturally derived from glycerin and coco-fatty acids).